The children of Michigan prepare for Santa's arrival, but he can't make his appearance until they are all in bed and fast asleep! "The icicles sparkle as snowflakes drift down from Midland to Ann Arbor, and all around." will be fun for our kids to research the cities as they get older. The illustrations are splendid and the story is very well written. This will be a good encouragement for kids to go to sleep on Christmas Eve. 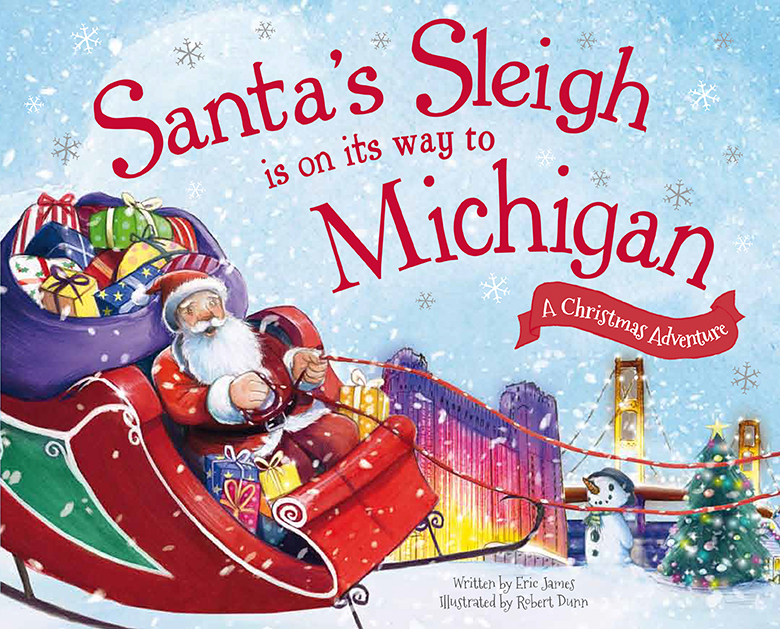 This is a cute and personalized story that will add magic to your Christmas collection.